Fifteen U.S. House lawmakers urged the heads of the Department of Justice and the Drug Enforcement Administration to expand the number of federally approved marijuana cultivators allowed to grow cannabis for research purposes. The request, made in an Oct. 1 letter, comes on the heels of the DEA granting approval to medical researchers at the University of San Diego to import cannabis oil from a licensed Canadian cultivation business, Tilray, for a study on essential tremor. 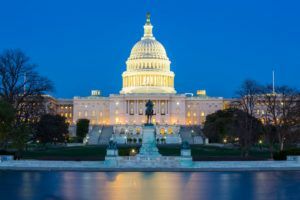 The letter is critical of what the congressional members view as a government failure to act on a 2016 Obama-era initiative to expand the number of growers with federal permission to grow cannabis for research. More than 20 U.S.-based cultivators submitted applications to grow cannabis for medical research, but the program has stalled because neither the DEA nor the Department of Justice has reviewed the applications. The letter’s signatories also formally requested the DEA and DOJ to tell them if they’ve reviewed any of the applications and when they expect to approve growers for federally sanctioned production. The letter also noted the House Judiciary Committee recently passed the Medical Cannabis Research Act, a bill that requires there be at least three federally approved growers of cannabis for research. The University of Mississippi is the only entity in the United States with federal permission to grow marijuana for research, but the school offers its cannabis only in flower form. Many researchers prefer to work with oil over flower, while the product that is grown at the University of Mississippi is reportedly low in quality. low in quality.. lololol imagine that.. they have no clue… we do… it is absolutely amazing that there is plenty of people .. many in JAIL.. that know more about the cannabis product than any college grad could ever.